You are here: Home / Blog/Articles / Business Tips / Bookkeeper vs Accountant – What’s the Difference? Bookkeeper vs Accountant – What’s the Difference? Customers are often confused between the roles of a bookkeeper vs an accountant. and has extensive tax knowledge. They are able to look at your business and personal situation and devise a good tax strategy. compiles the information into a year end statement for the accountant, files your GST returns, balances your payroll, and much more. They are very focused on the day-to-day of running your business and making sure that your paperwork is done correctly. The roles of the accountant and the bookkeeper are very different roles. 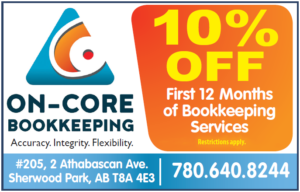 http://www.oncorebookkeeping.ca/wp-content/uploads/2015/12/Bookkeeper-vs-Accountant.jpg 267 402 oc_admin http://www.oncorebookkeeping.ca/wp-content/uploads/2016/06/logo-1.jpg oc_admin2016-03-04 20:20:312016-06-28 20:35:37Bookkeeper vs Accountant – What’s the Difference? 5 Things Your Bookkeeper Must Have Are you part of the “underground economy”?